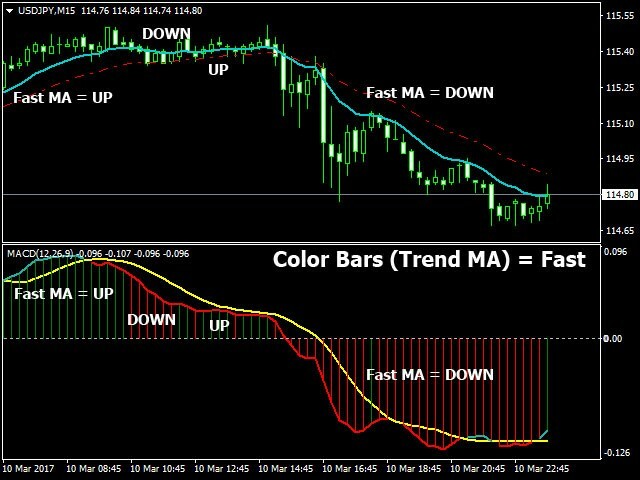 The MACD TrendMA indicator is a trading system developed on the basis of the MACD indicator popular among many traders, and which is based on measuring the inclination (trend) angle of the moving averages, while measuring the ratio (convergence/divergence) between them. 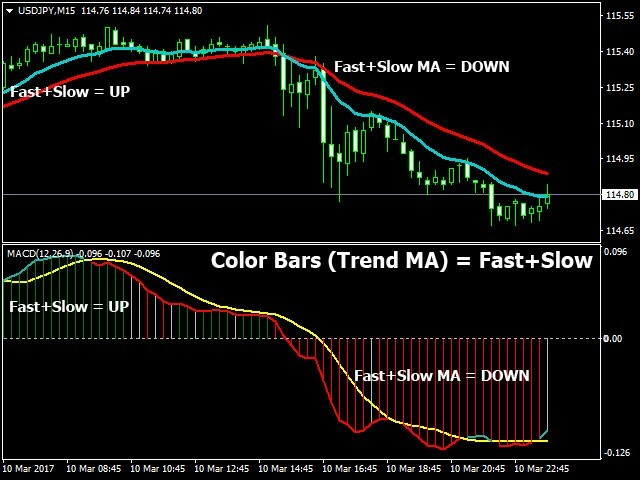 The signal for entering/exiting the market is the frame of the bars colors and color of the MACD TrendMA histogram according to the trend, which can be customized in the properties window of the indicator - in case the inclination angles of the Fast Moving Average or Slow Moving Average in the main window of the current chart change individually or both together. 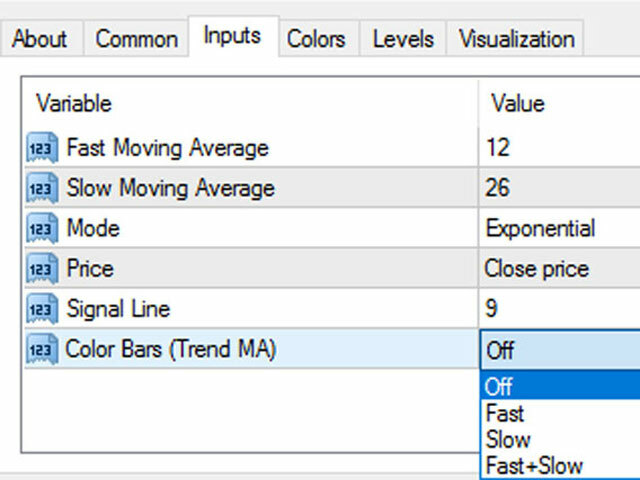 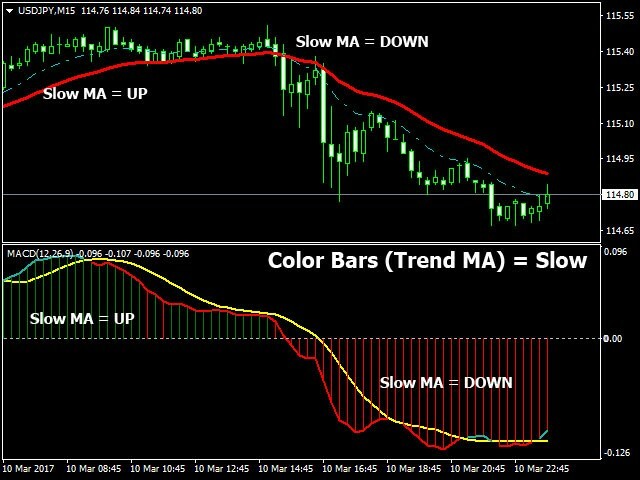 Color Bars (Trend MA) – change the color of the indicator bars when changing Fast and (or) Slow Moving Average slope angles. 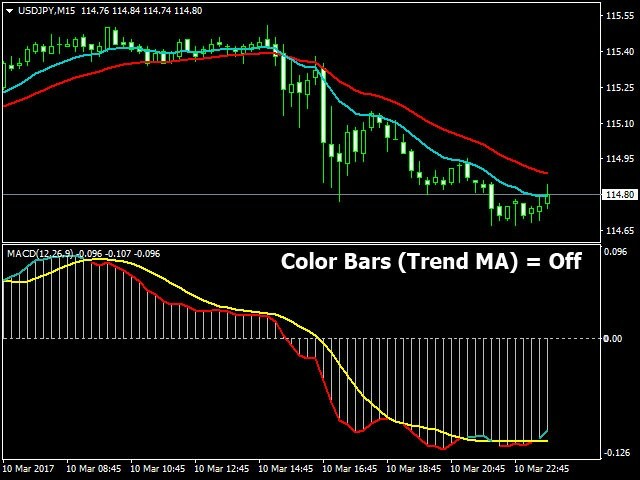 More functional versions of the indicator: MACD Message and MACD Converter.